When it comes to adding outdoor roofing to your home, you don’t have to pay the high prices demanded by most contractors. With DIY kits, you can easily put a cover over the pool, give your car a shaded parking area, and increase your available covered space with a functional carport, shade cloth or gazebo. Before you start looking at custom options, here are a few cost-effective alternatives you may want to consider. A carport is nothing more than a type of outdoor roofing, and it’s not just for keeping your car dry. 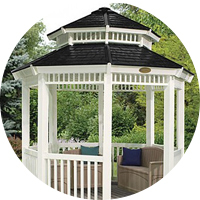 You can choose a stylish gable roof design to create a dry seating area away from the house. You also have the choice of colorbond roofing if you want to add some colour or zinc roofing if you are on a budget. A YardPro double carport is a perfect way to cover your pool and help keep the water clean and at a comfortable temperature. If you are interested in shading your car, then the YardPro Double Carport flat roof can be the right option for keeping the interior temperature down and protecting the finish from the sun. It’s the ideal solution for patio roofing because it keeps the patio comfortable, and you’ll also lower the temperatures inside the home slightly. 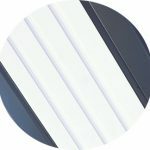 When you want to let some light through the patio area while still keeping the temperature under control, polycarbonate roofing panels may be the perfect choice. 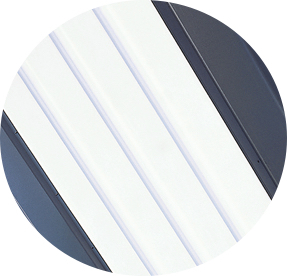 These translucent products will allow the light to come in while still filtering out UV rays and keeping the space dry. 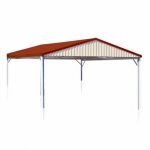 They’re one of the top choices for patio areas and even carports. The Australian sun can break down all types of materials, but Australian steel and Colorbond products are proven to last longer. The materials have been tested and proven for more than 45 years, so you can rest assured that they’ll be more resistant to corrosion. Designed for harsh conditions, it feature the beautiful colours of Australia. The baked-on finish is resistant to chipping, peeling, and cracking. It won’t be harmed by insects, the weather or the sun, and it features a lighter weight than other materials. 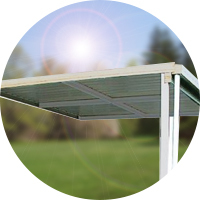 This makes it the top outdoor roofing solution for all types of patios. 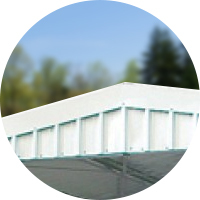 If you’re not worried about having a firm steel roof overhead, then you may be drawn to cloth or even grass roofing. Shade sails are a great option when you just want to keep the sun out of the Patio area. Rain water will still drip through, but you’ll have the shade you want on a hot day. Grass roofs are growing in popularity because they’re eco-friendly and highly effective at cooling the space. They’re known as living roofs because they use actual grass to shade and protect the areas below. However, they need special support systems to handle the weight. When it comes to patio roof designs, you have several different options to consider. 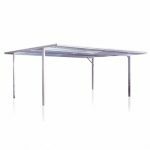 While you may like the idea of having a professional build a patio awning or gazebo for you, the price may be prohibitive. Another option is to go with a DIY kit that has everything you need at a fraction of the price. Whether you want high-end Colorbond roofing over your pool or just a small covered patio, we have the items that you’ve been searching for. We’ll help you choose a roofing solution that fits your space, personal needs, and budget. Whether you want the building for your car or a space to grill your favorites meals out in the yard, you can count on us for designs that are visually pleasing and materials that are sure to last. Want To Know More About The Aussie Backyards?